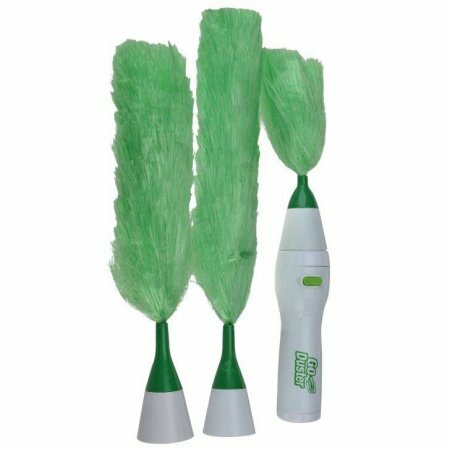 GoDuster - Go Duster is the revolutionary motorized duster that makes dusting faster, easier and more fun than you ever imagined! It's battery operated, just push the button and the duster head starts to spin, picking up dust in a fraction of the time. Designed for comfort, the handle is ergonomic and balanced to make dusting feel almost effortless. Even seniors and children will love it. 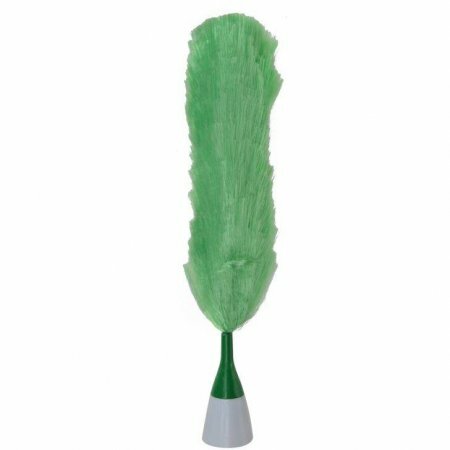 Great for all sorts of dusting jobs in every area of your home. 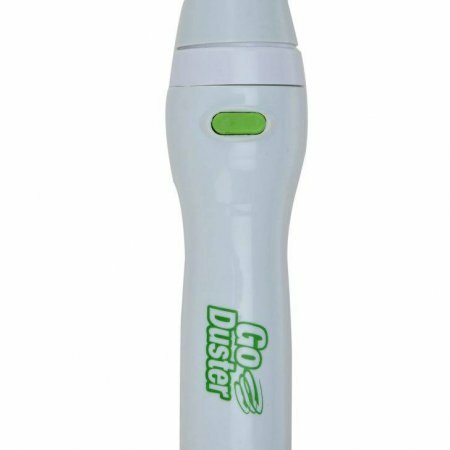 GoDuster reaches dust in every nook and cranny - between books, shelving, plants, blinds, electronics and delicate collectibles. 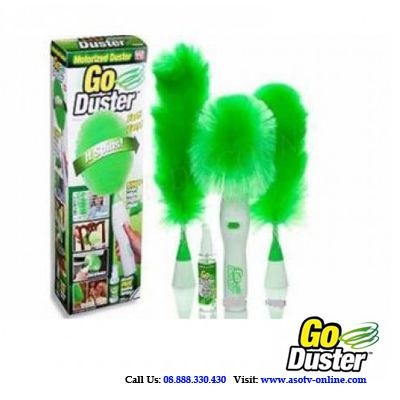 Go Duster comes with a bottle of Multi-Surface Dusting Spray that will enhance its dusting performance by grabbing and holding dust. When you're done simply rinse the dusting head under a faucet and let dry to use again. 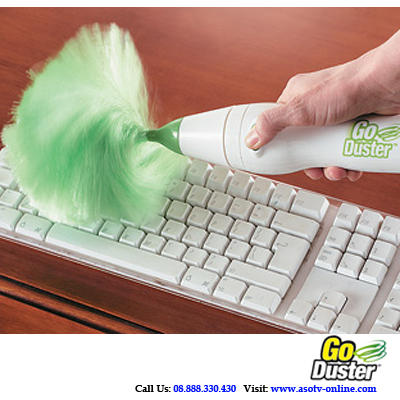 Go Duster reaches dust in every nook and cranny, between books, shelving etc. When you're done, shake out or simply rinse the dusting head under a faucet and let dry to use again. Say goodbye to dirty rags and cloths!